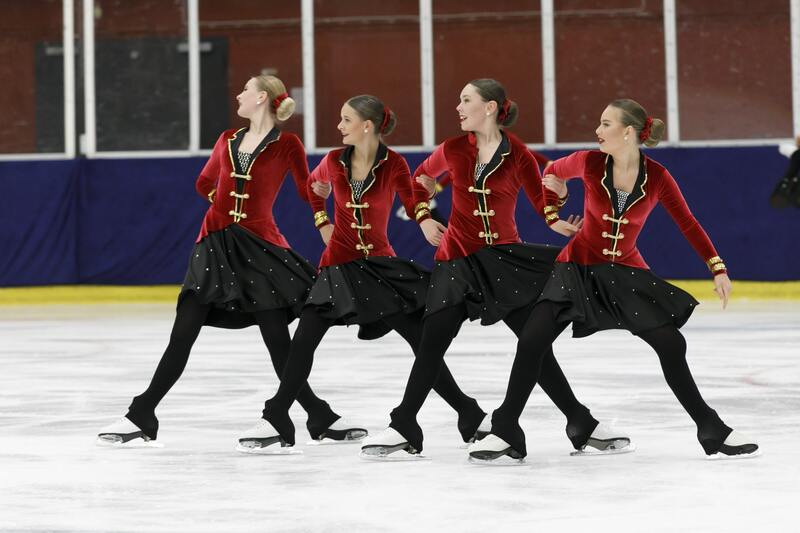 Synchronized skating in Sweden is in a transitional period. "This year no Senior team was appointed National Team in Sweden, and therefore we are not sending a team to the Worlds," says Lisa Nilsson, Head of Press of the Swedish Figure Skating Association. The announcement was made in December 2018. To build a solid foundation for the growth for synchronized skating in Sweden in the long run, the federation is now working on a development structure to strengthen synchronized skating throughout the system. "The dialogue has been going on for quite some time," adds Lisa Nilsson. For many years, the Swedish federation had great success with the foremost Team Surprise. Last October, the team of Andrea Dohany announced they were ending their 35 years history. How the Swedish federation received the announcement of the Team Surprise decision? "It has been a pending dialogue over a long period of time. And the decision was something that came naturally. Sweden needs a growth in quality of Synchronized skating with a structure to carry for many more years to come. It’s natural in this transitional period when we have a generation shift to place the resources and energy into building a strong foundation for the future. It has all been a very natural and involved process. Team Surprise is not competing any more, but their legacy is strong and they are through their athletes and coaches an important part of the work ahead." "We’re looking forward to seeing what the future will bring"
For this reason, no Swedish team has been appointed Senior National Team in Sweden and will therefore not be competing in the 2019 ISU World Championships in a few days in Helsinki. "Building a strong foundation takes time. At this point, we want to say that we are grateful for the support of the international synchronized skating world and are looking forward to seeing what the future will bring. Synchronized skating is a very important discipline to the Swedish Figure Skating Association and we will continue to fulfil our role in the development of the sport within Sweden and worldwide. Our athletes from Team Surprise are still active. As one example, that is directly connected to The Worlds this year. Nathalie Lindqvist has been the Representative for the ISU Athletes Commission for two years now and is running again. She is not training synchro any more and can put her heart and time in supporting the international Synchro-world in another capacity. That is just one of many examples," concludes Lisa Nilsson. As a reminder, one year ago, Team Surprise won a silver medal at home, behind Finland's Marigold IceUnity. The second Swedish team, Team Boomerang, finished 14th at the World Championships in Stockholm.